Does Congress Need an Evidence Office? Does Congress need an office to help it sort through the ever-growing body of research and analysis so that it can make its decisions more evidence-based? That was one of the intriguing ideas quietly floated by the Bipartisan Policy Center in a report it released last year. Could such an office be created? Maybe. (The relevant language from the BPC report is pasted at the bottom of this story). But even if not, the ideas may show up on Capitol Hill in other ways. Such an office could certainly be useful. As rigorous evidence steadily grows across the range of policy issues of interest to Congress, it is impossible for any one person to keep up, much less have the expertise needed to figure out which studies are sound and which are not. An independent office that helped Congress keep tabs on the research could be a valuable resource. Whether Congress would want such an office is another matter. The notion that political decisions are made in a rational way is a highly questionable one. Institutions like Congress have no shortage of expert-driven advice, and much of it is ignored. Political decisions are usually driven more by partisanship, ideology, and coalition-building. In other words, political decisions are driven first and foremost by politics. “Evidence” might be useful to Congress, but usually only to: (a) justify decisions that have already been made for political reasons; or (b) help inform such decisions within narrowly defined boundaries that Congress has specified in advance. Any office that tried to tell members of Congress that their preferred policies were not evidence-based would quickly find itself in a tough spot. On the other hand, an office that let members of Congress know what the current evidence was within a narrow range of congressionally-determined options might have a better chance. In short, evidence may not trump politics, but it might have a chance if it acted as its useful servant. Congressional Research Service (CRS): This office, housed within the Library of Congress, writes periodic backgrounders on pressing issues before Congress. CRS reports are highly useful to overworked (and often junior) congressional staff, who need to keep their bosses informed. CRS keeps itself out of trouble by making sure the reviews are balanced and generally uncontroversial. They also have a policy of not making their briefs public, although some organizations have put them online anyway. Government Accountability Office (GAO): GAO issues reports on a wide variety of congressional issues, usually in response to requests from congressional chairmen. Unlike CRS, however, the GAO reports are public. The agency typically does not weigh in on legislation, however. Mostly it keeps an eye on the executive branch, which members of Congress find useful. In fact, the office started off as an auditing agency, which is why it used to be called the General Accounting Office (same acronym) until it changed its name in 2004. The new name arguably makes them a bit sexier, too. Congressional Budget Office (CBO): This office is arguably the strongest of the three. Unlike the others, it does weigh in on legislation, typically scoring spending and tax bills to determine their budget implications (in the case of taxes, with the help of the Joint Committee on Taxation). Given the often partisan nature of such bills, it sometimes finds itself in hot water politically, something that is not made easier by the fact that its projections face substantial uncertainty and can often be wrong. 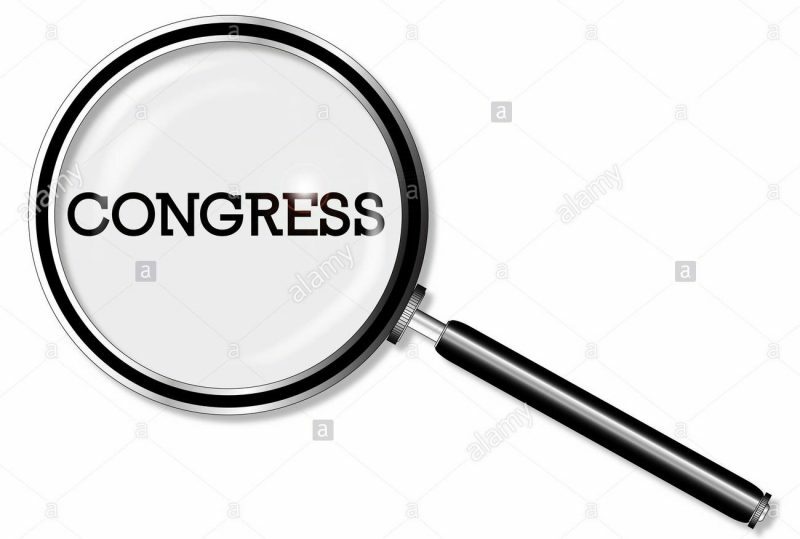 Congress nevertheless seems to find it useful, in part because it helps avoid enacting legislation that would unexpectedly grow the budget deficit. Probably more important from a political point of view, it also helps prevent Congress from becoming overly dependent on White House estimates coming from the Office of Management and Budget (OMB). CBO benefits because it helps level the playing field for Congress, sticks to objective bipartisan analysis, tries to stay reasonably transparent (although this is arguable), and stays in its lane (budget-related issues). So what do these agencies say about the prospects for an evidence office? Such an office would probably need to follow some combination of the GAO and CRS models. Like GAO, it would probably need to stick to answering specific questions coming from committee chairmen. This would help make sure it is useful and not a threat to the powers that be. It could also choose to only make its analyses privately available to members of Congress and their staff, as CRS tries to do. Is there any chance such an office might be created? There is no obvious demand for it from members of Congress. Two of the existing agencies (GAO and CBO) grew out of congressional desires not to be overly dependent on the executive branch, but that is not the case here. Perhaps if there were such an office, Congress might be more willing to create one of its own. But the history of the White House Office of Science and Technology Policy suggests that even that would be an uphill fight. The Trump administration has been slow to fill vacancies there, too. So if a congressional evidence office seems unlikely, what other options are there? The BPC report suggests that there are ways to better infuse evidence into the existing congressional infrastructures and legislative processes (pp. 15-16). One option is to build the evidence capacity of CBO so that its budgetary analyses are better grounded in evidence. Another path might be through GAO, which is already keeping tabs on evidence-related issues through its Managing for Results initiative. It also attempts to include credible evidence in its own analyses to some degree, although GAO reports are not known for their extensive use of footnotes. The BPC report also suggests incorporating evidence into standard legislative routines, such as the writing of committee reports on bills that are nearing floor consideration. This seems doubtful, though. Such a process seems more likely to interfere with congressional prerogatives than assist them. No committee chair wants a report commenting on the evidence (or lack thereof) behind his or her bill, especially not one that comes from his or her own committee. Politics trumps evidence, and this seems like one of the situations where the two might conflict. Building more evidence into the existing congressional agencies’ work seems potentially promising, though. It is not clear if members of Congress paid much attention to the BPC report when it came out, but it is possible that the powers that be at GAO, CBO, and CRS did. Given BPC’s connections, that might be what matters. The following text is quoted from p. 14 of the BPC report. Enhancing congressional evidence or evaluation capacity could be achieved by creating a new entity or support agency within Congress, creating an office of evidence and evaluation within one of the existing support agencies, or by devising ways to coordinate the considerable expertise of those agencies to focus on evidence-based research. Monitoring the full range of research trials and evaluations undertaken by federal agencies, states and localities, and academic researchers to support existing evidence-based initiatives for public policies. Serving as a resource to Congress, in effect a congressional clearinghouse for evidence, and providing guidance on the latest research available to support public policy decision-making. Assessing the quality of the research, including the uncertainties associated with various approaches and the confidence legislators should have in the existing body of research in a particular policy area. A nonpartisan, evidence-based capacity in Congress, however structured, could also serve a broader role in the evidence-based policymaking community. As a nonpartisan entity, a congressional evidence office could provide an independent voice on the state of current research and institutional knowledge of the evidence base. It could help members and others understand where there are areas of broad agreement on what the research shows about the cause-and-effect relationship of various policy interventions and programmatic outcomes. It could also help to assess the level of uncertainty in research or where there is a divergence of expert opinion. Since the office would not be part of the executive branch, other government entities, research foundations, or other private sector groups, members may be less likely to question the objectivity of its findings or assessments. This would make it more likely that members of both parties would be confident in the agency’s work products and in the evidence-based analyses that it highlights. This entry was posted in Evidence, Politics. Bookmark the permalink.